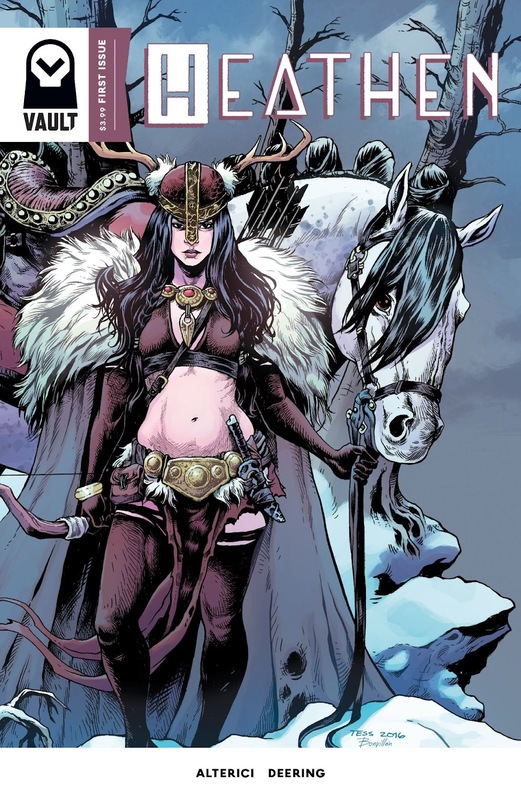 The Fellowship was fortunate enough to obtain a copy of HEATHEN #1 from Vault Comics. The story is written and illustrated by Natasha Alterici, with lettering by Rachel Deering. The first thing that jumps out at you is the art. It’s different, very bold, and frankly hard not to admire over and over again. I’m not sure what it is about Alterici’s style, but I love it. She also does an excellent job of addressing a current day issue within a story involving Norse mythology. Some of the best Sci-Fi and Fantasy stories do the same thing. Excited and curious to see where things go from here. If this is the type of stories we should expect from new publisher Vault Comics, bring it on. HEATHEN #1 is in stores now or available at vaultcomics.com.